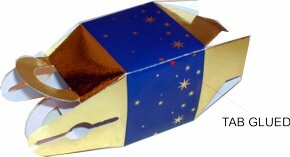 The photograph below shows a package that has a handle built into it. 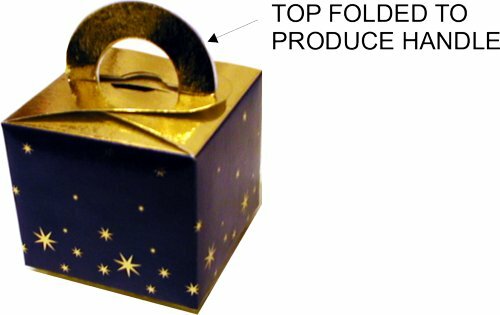 Only one ‘tab’ is glued with the top and base of the package folding in such a way that a further gluing is not needed. This package is ideal for small gifts. The one in the photograph has been decorated for Christmas gifts as can be seen by the stars and the gold and blue colour scheme. The development seen below if for a special gift. 2. Add colour and decoration to the box. Research examples of packages to help you design a suitable style. any other important design details (search the internet for ideas).